We are now closed, thank you to all our customers, old and new for a good harvest season. We will open for the 2019 Season the Saturday after Labor Day, Sept. 7th. 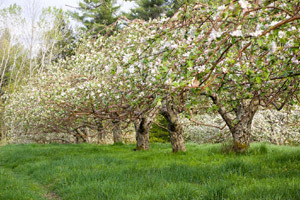 When stepping into Hansel’s Orchard in North Yarmouth, Maine, you will quickly realize that this is a truly unique orchard. 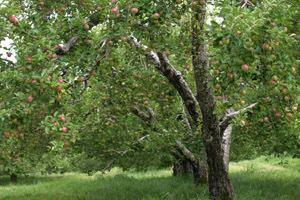 Our apple trees are trees that stories and songs are written about because they are large and wide. These are trees that the entire family can sit under and enjoy a picnic. 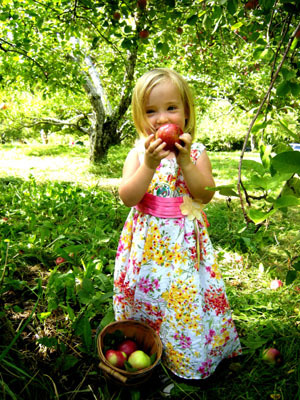 Hansel’s Orchard is a family run ‘Pick-Your-Own’ orchard that features McIntosh, Cortland and Macoun apple varieties. 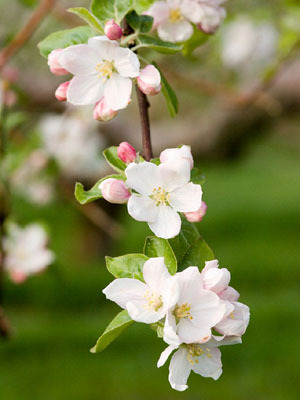 In September, the McIntosh apples are ripe for the picking. 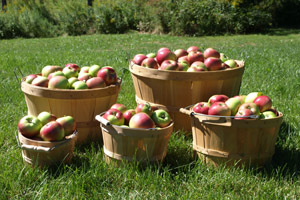 The Cortland and Macoun apples are ready in late September through October. When you arrive, you pick your basket size according to your needs. We have plenty of bushel, half-bushel, peck, half-peck and quarter-peck baskets available. 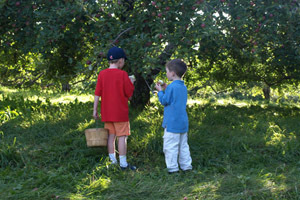 Later in the season, we offer picking poles to reach those desirable apples high in the trees. If you don’t want to pick from the tree, we have freshly picked apples so you can pick from an apple box.